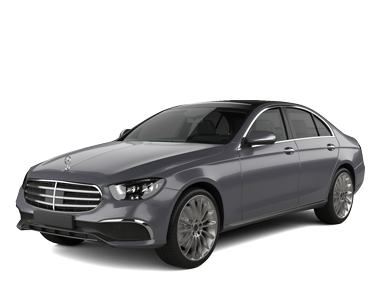 Book your transfer with Blenheim Shuttles on our Private Airport Transfer service today! At Blenheim Shuttles our Private Airport Transfer service is available for transfers between Blenheim Airport, and 46 locations across New Zealand. The Private Airport Transfer service aboard Blenheim Shuttles is an express on-demand door-to-door transfer service. Your vehicle will be travelling exclusively for you and your group, directly without stops or delays, to your destination. Your transfer time will be best suited to match your specific requirements and the driver will pick you up and drop you off whenever it suits you. Our Private Airport Transfer service is available 24 hours a day 7 days a week and can be booked up to 12 hours ahead of travel. At Blenheim Shuttles we offer fixed transfer fares starting from $26.67 NZD total one-way and with enough seat capacity for up to 11 passengers. Your final fare with us includes luggage allowance for 1 carry-on bag and 1 check-in bag per passenger. Also included in all our fares are airport parking fees, any tolls along the route and your drivers waiting time. Blenheim Shuttles is a transport company based in New Zealand and we have been a professional transport supplier on Jayride since October 2012. Owned by two locals or should I say three; Duncan, Jude and Clyde the boxer dog who thinks he is the most important of all! He is a bit left out though as he is not allowed in the van. Duncan is a fully qualified mechanic and decided to have a change of occupation. He is our main driver. We have two other drivers who help us out; Stewart Stein who is a retired accountant and came to Marlborough to retire! Not so just yet. As well as Andy Wrighton who knows the Marlborough area very well as has recently retired from owning and operating a Motel in the area. Friendly driver and very punctual and good service overall. BIG thumbs up for Blenheim Shuttle services. Seamless! Friendly & professional service. Online communication: Excellent. Shuttle Service & Driver: Excellent. Summary: Would use again. Definitely recommending. Excellent service, pickup on time, cheerful driver. Would recommend this business to travellers.